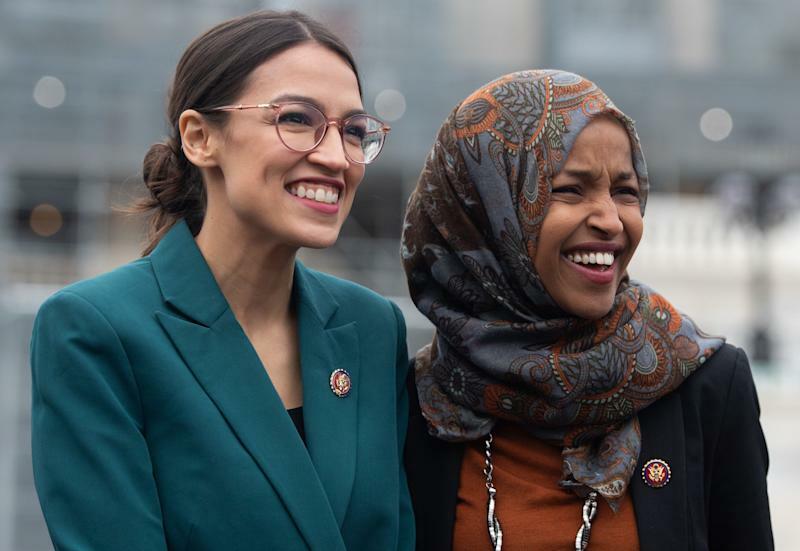 Rep. Alexandria Ocasio-Cortez, D-N.Y., on Sunday responded “absolutely” when asked if she believes President Trump is trying to incite violence against Rep. Ilhan Omar, D-Minn., by tweeting a video that juxtaposes Omar’s controversial reference to 9/11 hijackers with jarring images of the terror attacks. 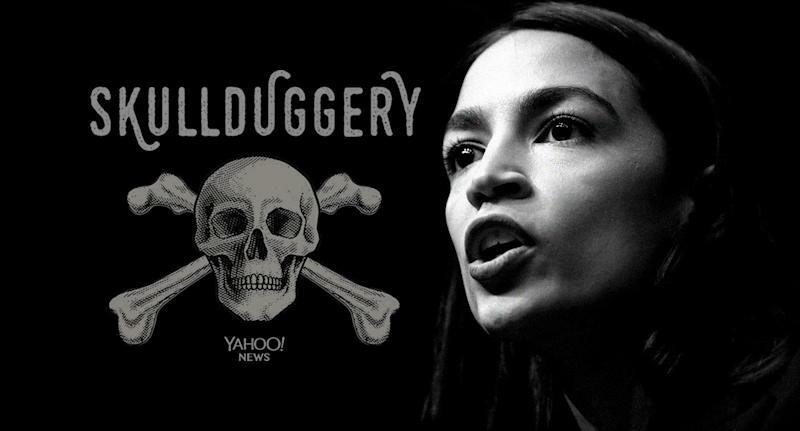 “You do not splice together out of context words with images of the planes hitting the Twin Towers and not think that you are trying to incite a stereotype of all Muslims being terrorists,” Ocasio-Cortez said in an interview with the Yahoo News “Skullduggery” podcast. Ocasio-Cortez said she isn’t surprised Trump would try to incite violence against Omar because, as a New Yorker, she’s seen it before. “He acts like he’s one of these shady real estate developer guys that may or may not be involved with the mob,” she said. “And like, all New Yorkers know that guy. I’ve bartended for that guy. I’ve waited tables for that guy. Omar, who is Muslim, has come under fire for comments she made last month at a fundraiser for the Council on American-Islamic Relations. Critics focused on her use of the phrase “some people did something,” implying that it minimized the terror attacks. On Thursday, the New York Post responded by splashing an image of the burning Twin Towers on its cover. The cover prompted the Yemeni American Merchants Association, which represents thousands of New York City bodegas, to announce a formal boycott of the newspaper. Ocasio-Cortez told Yahoo News that she endorses the boycott. On Friday, Trump waded into the controversy and shared the video of Omar’s comments alongside footage of the Sept. 11 attacks. Omar responded in a series of tweets on Saturday. House Speaker Nancy Pelosi responded, too, calling on Trump to pull the video, which was pinned to the top of his Twitter feed. Pelosi added that she had spoken to the sergeant-at-arms, the House official in charge of security, about Omar’s safety “to ensure that Capitol Police are conducting a security assessment to safeguard Congresswoman Omar, her family and her staff” following Trump’s tweet. On Sunday night, Omar said she’s seen an uptick in death threats since Trump posted the video. White House Press Secretary Sarah Sanders defended Trump's tweet. "The president is wishing no ill will and certainly not violence towards anyone," Sanders said on ABC's "This Week" Sunday. Ocasio-Cortez, though, isn't buying it. "You do not put that video and air it to 25 million people" if you do want to incite violence, Ocasio-Cortez said.